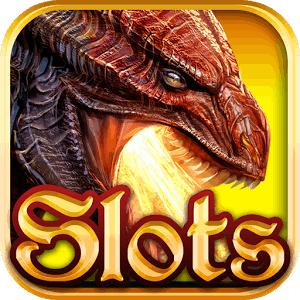 Play Golden Dragon slot in the online casinos! Golden Dragon is a classic 3-reel, 5 payline slot. The ultra-simple format features just 5 symbols to speak of giving players a raw and focused slot experience. The slot, however, does feature a healthy 5,000-coin jackpot amount and potentially one of the great sound tracks of any slot available today. The slot’s sound track/ambient sound effects, feature a creepy growling dragon and dripping water that makes it sound as if you are in the dragon’s lair. If nothing else, just experiencing the sound is enough to give this slot a try for a couple of spins. Microgaming Casino enthusiasts of classic slots, will be used to the developer often utilising some of the most familiar symbols around like Bars, Sevents, and Fruits. In the case of Golden Dragon game they have thrown something new into the mix – implementing Golden Dragon symbol. This extra feature, plus golden bars, and great overall layout, makes the game even more entertaining for users. In conclusion, Golden Dragon certainy offers pub slot machine lovers something a bit different. You can try it out now for free at many online casinos from our long list. This game is playable on desktop devices only. Will you beat the Dragon?